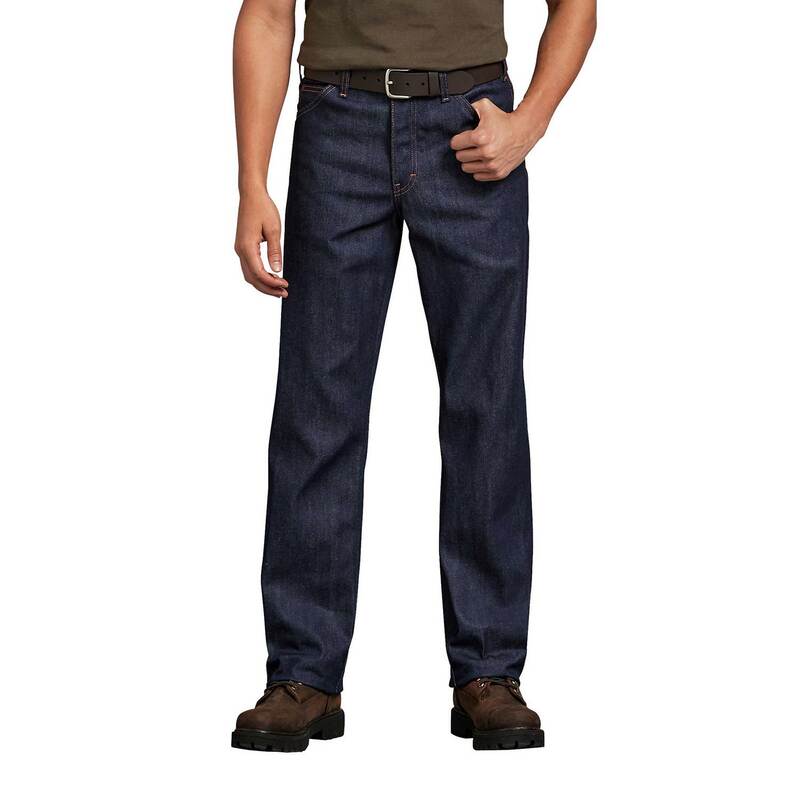 Our authentic Dickies work jean is built of 100% heavyweight cotton denim twill with traditional 5-pocket styling. It has everything you want in a pair of hardworking jeans. Sits slightly below the waist, fits over boots, heavy-duty brass zipper and rivets at stress points.